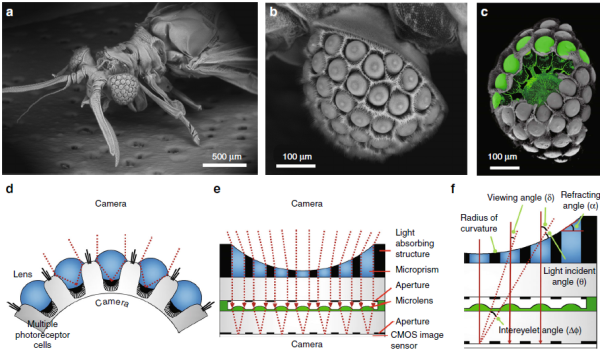 The visual system of Xenos peckii, an endoparasite of paper wasps, demonstrates distinct benefits for high sensitivity and high resolution, differing from the compound eyes of most insects. Taking their unique features, a KAIST team developed an ultrathin digital camera that emulates the unique eyes of Xenos peckii. The ultrathin digital camera offers a wide field of view and high resolution in a slimmer body compared to existing imaging systems. It is expected to support various applications, such as monitoring equipment, medical imaging devices, and mobile imaging systems. 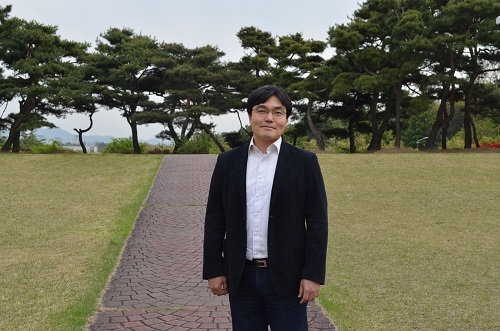 Professor Ki-Hun Jeong from the Department of Bio and Brain Engineering and his team are known for mimicking biological visual organs. The team’s past research includes an LED lens based on the abdominal segments of fireflies and biologically inspired anti-reflective structures. Recently, the demand for ultrathin digital cameras has increased, due to the miniaturization of electronic and optical devices. However, most camera modules use multiple lenses along the optical axis to compensate for optical aberrations, resulting in a larger volume as well as a thicker total track length of digital cameras. Resolution and sensitivity would be compromised if these modules were to be simply reduced in size and thickness. 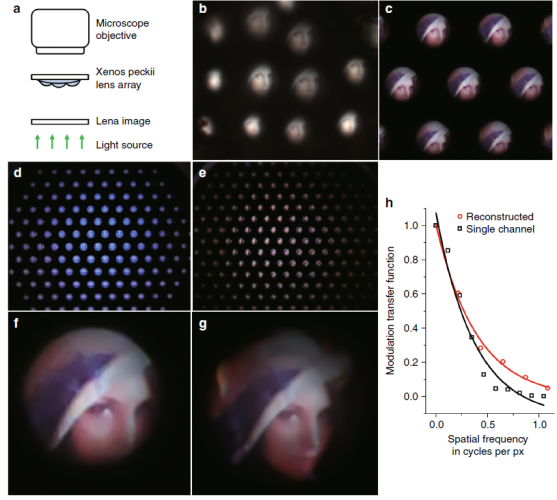 To address this issue, the team have developed micro-optical components, inspired from the visual system of Xenos peckii, and combined them with a CMOS (complementary metal oxide semiconductor) image sensor to achieve an ultrathin digital camera. This new camera, measuring less than 2mm in thickness, emulates the eyes of Xenos peckii by using dozens of microprism arrays and microlens arrays. A microprism and microlens pair form a channel and the light-absorbing medium between the channels reduces optical crosstalk. Each channel captures the partial image at slightly different orientation, and the retrieved partial images are combined into a single image, thereby ensuring a wide field of view and high resolution. This research, led by PhD candidates Dongmin Keum and Kyung-Won Jang, was published in Light: Science & Applications on October 24, 2018.